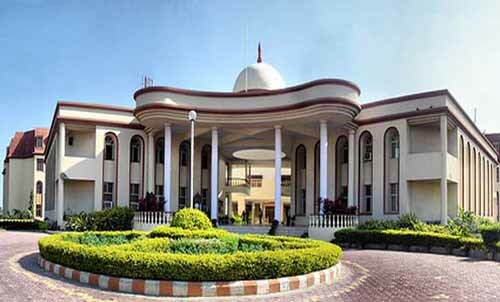 Oriental Group of Institutes was started by the founder Chairman Shri K.L Thakral in the year 1995.It is a self financed premier educational group imparting quality education in the disciplines of Engineering, Pharmacy, Management and Advanced Computer Studies.The Institutes are approved by AICTE & Govt. of Madhya Pradesh and are affiliated to RGPV & Barkatullah University. Campus: Oriental Group of Institutes was started by the founder Chairman Shri K.L Thakral in the year 1995.It is a self financed premier educational group imparting quality education in the disciplines of Engineering, Pharmacy, Management and Advanced Computer Studies.The Institutes are approved by AICTE & Govt. of Madhya Pradesh and are affiliated to RGPV & Barkatullah University. Hostel: Single and double room accommodation for boys and girls is available separately within the premises. Hostel rooms are well furnished with proper ventilation. Special lodging arrangements are made for NRI students. Other facilities include in house Canteen & Mess, Water coolers with UV Purifier, Recreation Room, Indoor games, Gymnasium, Medical room with Doctor & Nurse in attendance, Co-operative store, PCO Bank, Post Office, Parking Round the clock Security and Wi-fi enabled Net connectivity. I want to take admisson. PLS MSG ME UR FEE STRUCTURE.